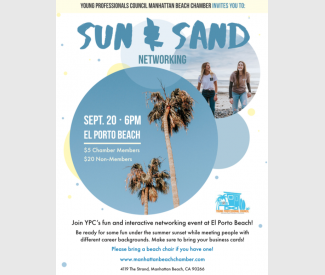 Join YPC’s fun and interactive networking event at El Porto Beach! Be ready for some fun under the summer sunset while meeting people with different career backgrounds. Make sure to bring your business cards! Please bring a beach chair if you have one!